Into the last few thousand kilometers of her journey cycling around the planet, 19 year-old Vedangi Kulkarni has reached India. The Indian chapter of the circumnavigation project is currently underway. 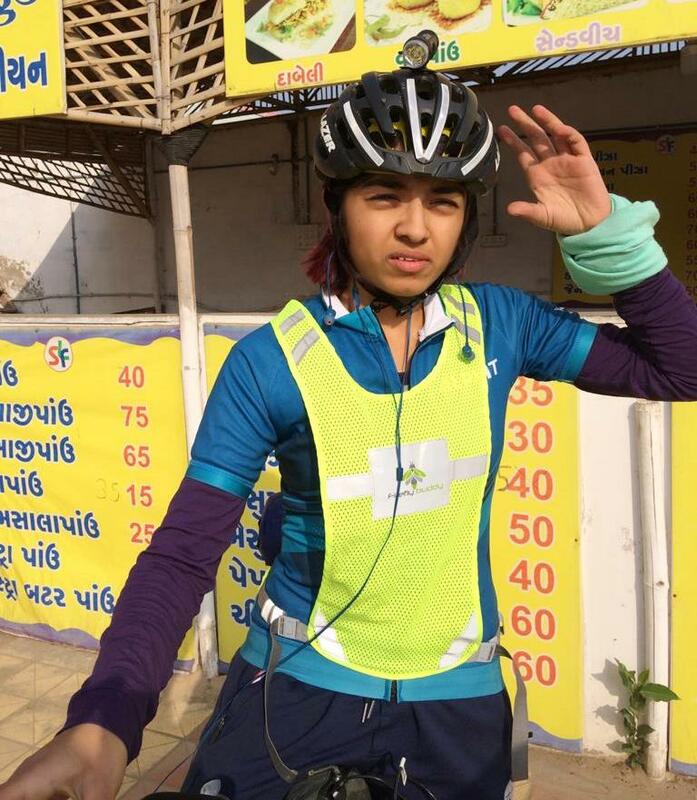 Vedangi Kulkarni, currently on a quest to circumnavigate the planet solo and unsupported on a bicycle, began the Indian leg of her trip today (December 2, 2018) from Bareja near Ahmedabad in Gujarat. “ She started cycling at 10 AM,’’ her father, Vivek Kulkarni said. 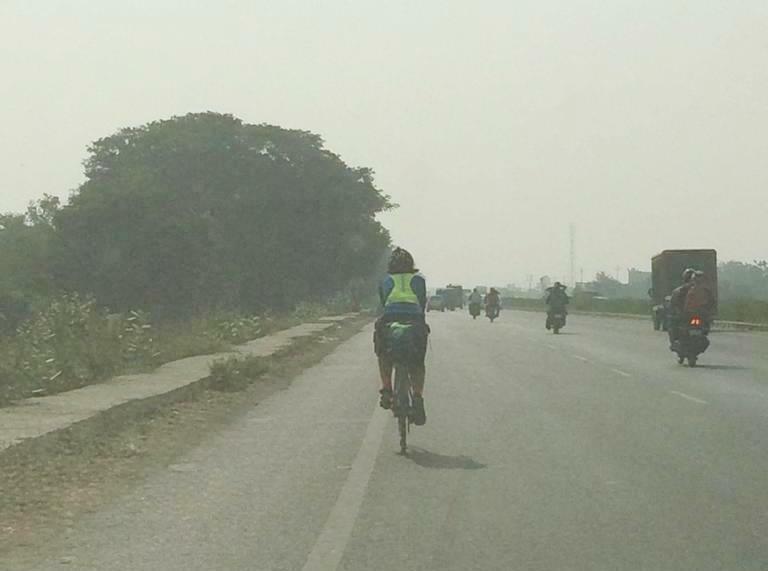 According to him, the likely route ahead for the young cyclist will be Ahmedabad – Vapi – Pune – Kolhapur – Panaji – Mangalore – Kozhikode – Thiruvananthapuram – Kanyakumari – Tirunelveli – Madurai – Tiruchirapalli – Chennai – Bhubaneshwar – Kolkata. The Indian leg of the circumnavigation trip follows several days spent cycling in Russia. Vedangi commenced her journey in Perth, Australia on July 17. She has since cycled in Australia, New Zealand, Canada, Europe and Russia. The original plan was to move to Mongolia from Russia. That has been replaced with kilometers to be logged in India. Besides conforming to certain other parameters, full circumnavigation entails cycling approximately 29,000 kilometers. Last reported on this blog (on November 25, when she was cycling in Russia) Vedangi was estimated to have covered around 23,500 kilometers. A Google search for the distance from Ahmedabad to Kanyakumari showed it as 2163 kilometers while that from Kanyakumari to Kolkata was shown as 2365 kilometers. Taken together, it is more than 4500 kilometers. December 2 marked 138 days since Vedangi started out from Perth. For circumnavigation to be complete, she has to end her journey at the place where she commenced it. For further information on Vedangi’s journey please visit this link: https://shyamgopan.com/2018/11/25/vedangis-quest-russian-leg-nears-completion-india-next/. More related articles – from the time she commenced her journey – are available in the blog’s story list. They can also be accessed by scrolling down.